In July 2018, Color Of Change and grassroots groups started talking about building power to transform our criminal legal system in Queens. 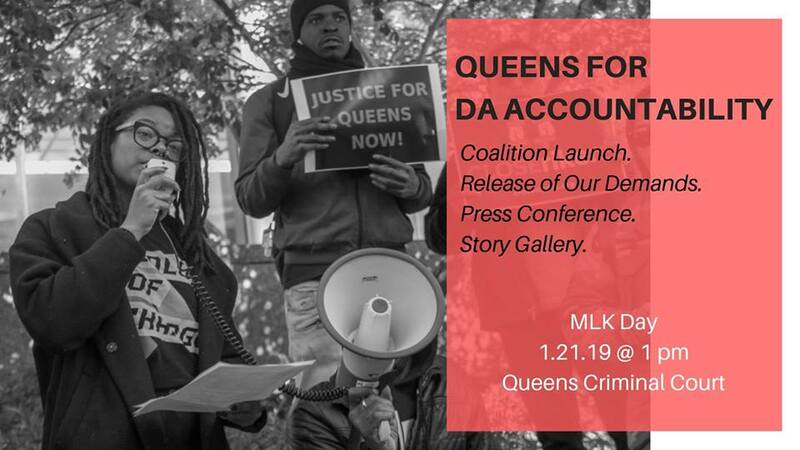 Those conversations led to the founding of Queens for DA Accountability, a coalition centering Black and brown, TGNC, immigrant/migrant, indigenous and other communities directly impacted by incarceration. Through community organizing, civic engagement, and narrative change, we will build power for our movements’ most expansive vision of decriminalization, decarceration and transformative justice while pushing the DA to take immediate steps to reduce harm now. Join us for our launch.